Every year I sense the pressure that other moms have to homeschool during the holidays. It’s crazy with all the parties, recitals, gifts to buy, gifts to wrap, service projects to complete, extra decorating which translates into extra housecleaning, and the excitement of children as they sense the things to come. 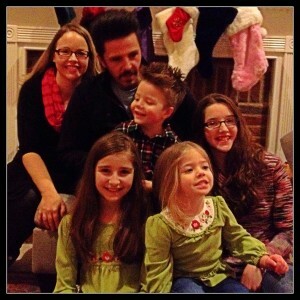 There are millions of blogs, books, and ideas about how to keep your holidays simple, and most of us read them and are inspired to buy less and keep our focus on being present with our families. But, what about school? What about the education that our children need to receive? How do we fit that into the simplicity we long for? I feel like I have found some balance by loosening the reins a bit. We have done several different things for the month of December. My first priority is to determine what can be put aside for a month. Math usually stays consistent, but the other subjects are often incorporated in other activities or events. 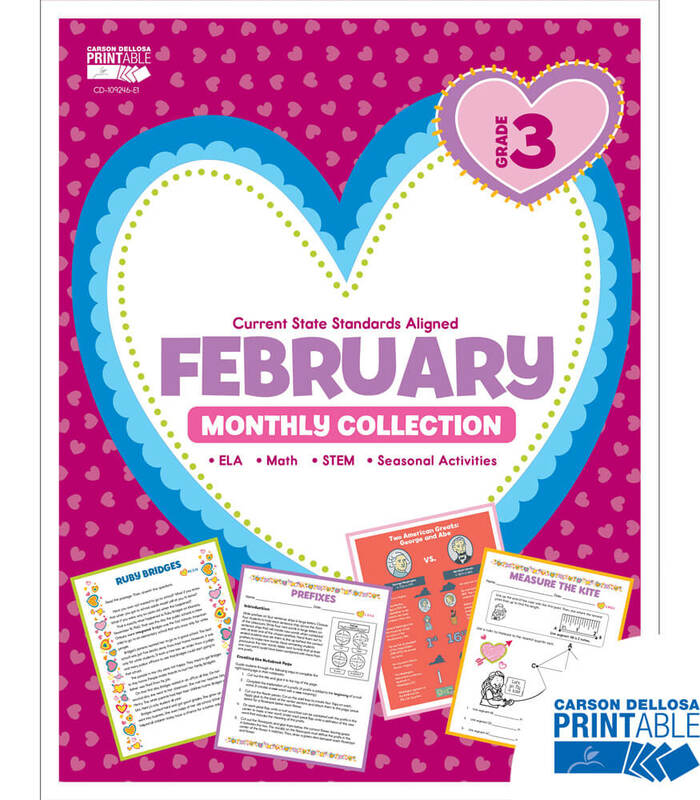 This is a great month to focus on a trouble area like handwriting or math facts. Set aside the curriculum and get those areas mastered. This only helps us as we start back up after the holidays! We ALWAYS incorporate Advent with our school. This year I am actually creating and implementing an Advent Alphabet for my younger ones. We are doing handwriting exercises and crafts to cover a letter a day for 26 days. (If you want to join us, you can visit my Pinterest board for links to our crafts and activities.) This is sufficient for their holiday studies. My older ones are joining us and helping the little ones, but they are also completing a lighter load of schoolwork each day. 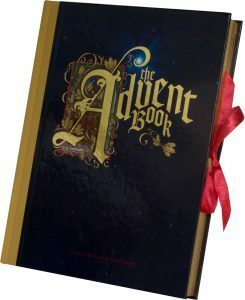 We have our established Advent activities such as the Advent Book and music which they still love to do. December is the perfect month to try out a unit study or lapbook. We set aside the school books and the curriculum and focus on a subject related to the holidays. Lots of FREE Christmas unit studies are available online. I think the best ones are those that are related to a book which we all read together. Since my children are at different levels, we often don’t get a chance to read the same literature during the school year, so this is a big deal here at our home. Unit studies often include educational materials that cover all the school basics. Total Language Plus offers two different Christmas studies which we have used. CurrClick offers lots of options for those who want a bit more. 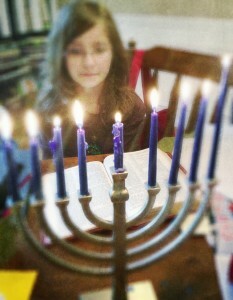 One of my favorite past holiday studies has been a Hanukkah lapbook which included a special Advent-like option. I now display it every year as a reminder of God’s promises. Some times you just need to stop the curriculum and the lesson plans. Look around you for opportunities to learn in the activities of the holidays. Remember that your children will often learn more in being with you as you serve others together. There are math lessons learned as you adjust a recipe to make enough cookies for all your friends and family. There are chemistry lessons learned in the burned cookies or flat cakes. 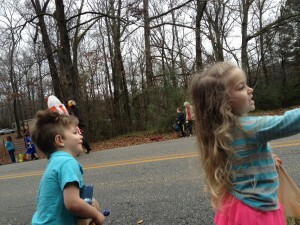 A Christmas parade can easily become a social studies lesson as they learn about the people in their neighborhood. Keep your eyes open for these opportunities. The key to making a break work is being present with each other. This is not a break where you all separate and go to different rooms every day. You must be intentional to be present together. So…breathe and choose where you can relax. How you homeschool during the holidays should bring peace to your home, not more stress. Try a new way and see if it helps release the pressure. Let’s Chat: How do you homeschool during the holidays? Click here to share your comments below this post. Like this post? 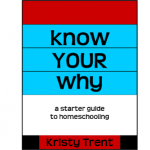 Please share with your friends using the buttons below, and click here to receive my blog updates via email and receive my FREE ebook, Know Your Why. Disclosure: Some of the links in the post above are “affiliate links.” This means if you click on the link and purchase the item, I will receive an affiliate commission. Regardless, I only recommend products or services I use personally and believe will add value to my readers. I am disclosing this in accordance with the Federal Trade Commissions’s 16 CFR, Part 255.